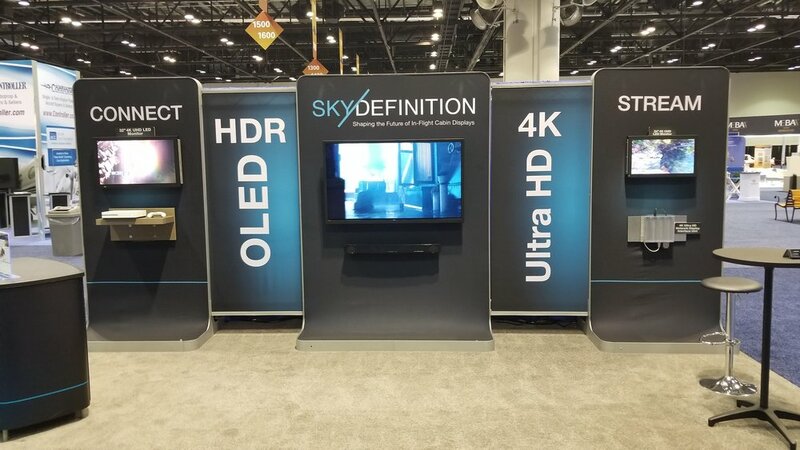 Sky Definition introduced our new 55” OLED Smart Monitor with HDR at the NBAA 2018 in Orlando, FL. Click through the pictures below. 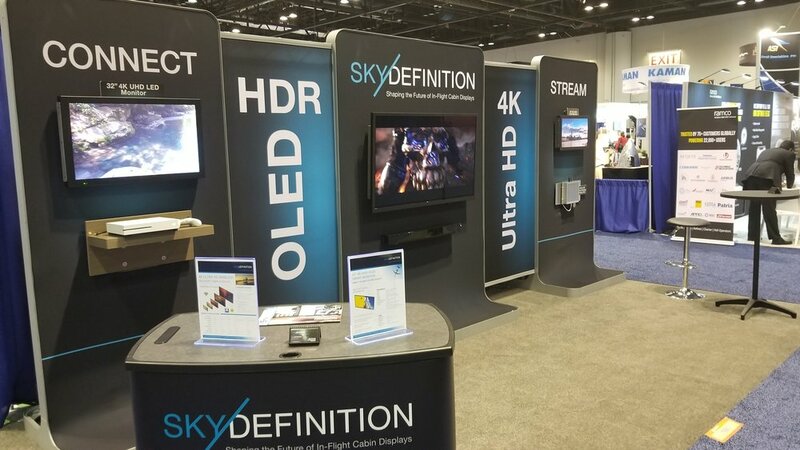 Sky Definition will be exhibiting at the Aircraft Electronics Association Convention and Trade Show at the MGM Grand in Las Vegas, NV, March 27-28, 2018. Please stop by booth 317 and see our new 32" 4K/UHD Wireless Smart Display. Sky Definition will be exhibiting at the NBAA 2017 in Las Vegas, NV October 10-12, 2017. Stop by booth N1117 and see our 4K/UHD monitors. Sky Definition will be attending the Aircraft Electronics Association International Convention and Trade show from March 13-16, 2017 in New Orleans, LA. Visit us at Booth 539. Sky Definition will be exhibiting at the NBAA 2016 in Orlando, FL November 1-3, 2016. Stop by Booth 4082 and check out our 4K/UHD monitors.